You Want Me to Put the Needle Where? Home » All » Video » You Want Me to Put the Needle Where? 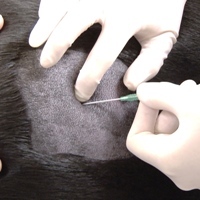 Ladan Mohammad-Zadeh, DVM, DACVECC, gives a RACE Approved lecture for veterinarians where she describes when and how to perform thoracocentesis, abdominocentesis, and pericardiocentesis in dogs and cats.